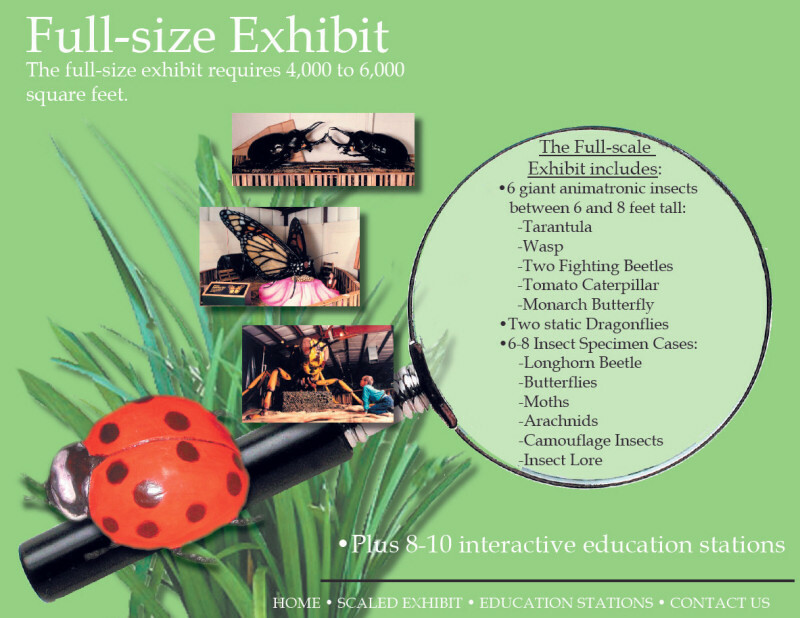 The Full-scale Exhibit requires 4,000 to 6,000 square feet and includes: 6 giant animatronic insects between 6 and 8 feet tall: Tarantula, Wasp, Two Fighting Beetles, Tomato Catepilar, Monarch Butterfly. Two static Dragonflies. 6-8 Insect Specimen Cases: Longhorn Beetle, Butterfiles, Moths, Arachnids, Camouflage Insects, Insect Lore.